Once again this year the PITA will be providing brand new wired BRB Voice Calls on every trap at the PITA Grand Pacific to be held at the Spokane Gun Club July 22-28, 2018. We will be offering these 18-sets of very lightly used voice calls (used for the Grand Pacific only) to gun clubs for $870.00 per set, first come-first served – so don’t wait to order! ONLY FOUR SETS STILL AVAILABLE FOR PURCHASE (3/12/18)! This is a great deal for essentially brand new BRB Voice Calls and they will sell fast. Contact Mike Riggs at riggsconstinc@gmail.com or John Adams at jadams@eotnet.net to order. Payment will be required by March 31st. The Oregon Doubles Classic schedule is now posted on the programs page. Check out all the shoot dates – you only need 1,500 targets to win! Hermiston Gun Club adds shoot dates..
A message regarding the increase in fees. As you have heard, a review of the PITA budget found that an increase in membership and daily fees was necessary. We have had a few questions as to what lead to these increases and I would like to offer the following in response. The PITA is a non-profit corporation and our day-to-day expenses are covered by membership and daily fees. 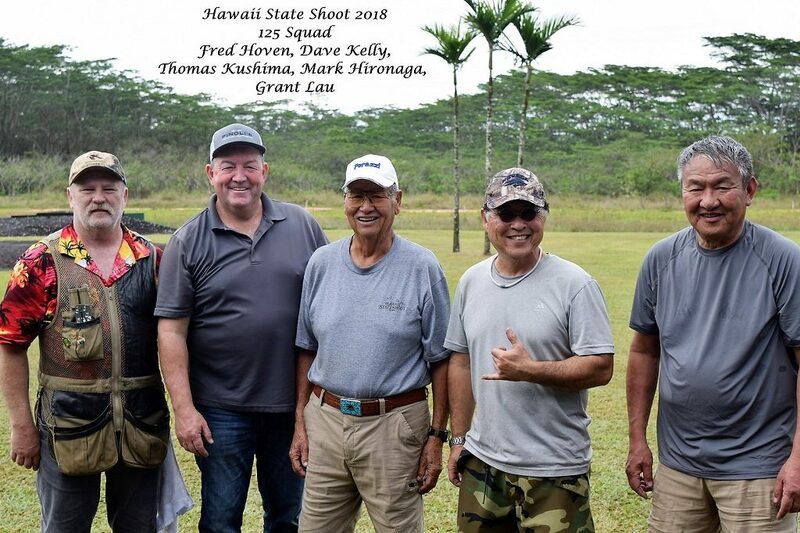 We keep some funds in reserve, but all other funds are returned to the shooters in the form of refunds to the state and provincial associations, added money at the Grand Pacific, and the production of the Grand Pacific itself. 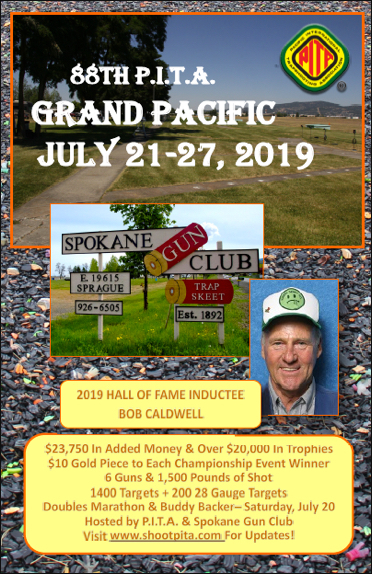 We were unable to reach an agreement with Evergreen Sportsman’s Club for the 2017 Grand Pacific so we moved the event to the Spokane Gun Club (SGC). The 2017 contract with SGC included an increase in the price per target and SGC took over the RV reservations, which caused us to lose a significant portion of our annual income. The 2018 Grand Pacific contract with SGC is a flat fee and requires that the PITA do everything. From scorekeepers and traps to garbage and water, we will be doing it all. This is a departure from our usual contract and we will need a substantial number of volunteers in order to make a profit on this event, or at least break even. In 2016 our Executive Secretary, Sue Brewer, retired from that position and moved into a part-time position as the PITA Assistant. At the same time, Rusty Brewer retired from the Assistant Secretary position. I’m sure I don’t need to tell you that the PITA had a pretty good deal going for many years with Sue in the Executive Secretary position and Rusty in the Assistant Secretary position. We received much more value than what we were paying in wages. As such, the cost to hire a new Executive Secretary and continue to pay Sue for half-time work, is significantly higher than it was when we had Sue and Rusty in those positions. So, in short, the cost of running the PITA has increased and we have reached the point where our membership and daily fees have had to increase as well. Thank you for your continued membership and please feel free to contact me or any of the members of the PITA Executive Committee if you have any further questions or concerns.